Thanks to everyone else who left such sweet comments, I have so enjoyed this challenge and seeing what the rest of you have come up with as well! Yay for Krista! And what a generous giveaway - very cool! Okay, good thing I'm leaving town for a while. People are going to start talking about me...I've been too lucky lately with giveaways and it's time to run a few of my own. Speaking of which, stop by Poppyprint next week for your chance to win a FQ set of Brrr! 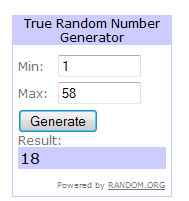 Maybe it'll be a giveaway win-win for both of us! Congrats to Krista!!! Thanks for the great giveaway Heather! !